BCA’s latest data shows sold volumes reached record levels with buyer demand being exceptional throughout the month. 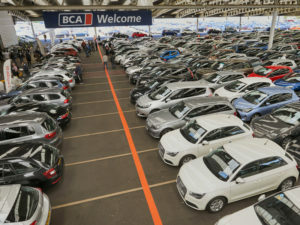 In the second week of January, buyer demand rose significantly with the previous weekly sales record being smashed by over 10% as BCA sold 25,500 vehicles across the network with numerous centres around the 24-strong UK network reporting record trading. The headline value figure of £9,298 was on a par with values seen in October, and November was up by £679 year-on-year, equivalent to a 7.8% improvement. Cox Automotive, parent firm of Manheim and retail business Motors.co.uk, also saw positive figures across the board. Average sale prices in Manheim’s online and physical auction lanes remained steady (within 0.2% of December) at £6,627, with average mileage across vehicles up 2.6% from 58,331 to 59,195. Following the expected seasonal fluctuation in December, Manheim recorded a 68% month-on-month increase in sold volumes during January, reflecting the traditional uplift in the market in this month of the year. Ex-fleet volumes were up 56% between December and January.